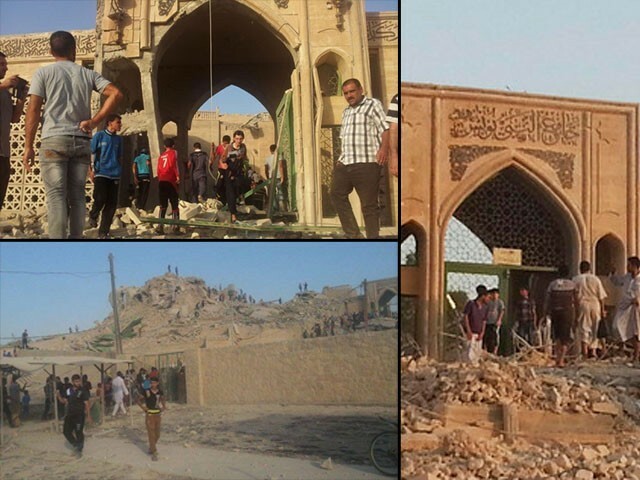 Different pictures of Prophet Younus's (AS) shrine in Iraq that was destroyed by the Islamic State. A recent news story left me utterly shocked and angry. Yesterday, the Islamic State (formerly known as the ISIS), a militant outfit, blew up and levelled one of the most well known and revered shrines in Mosul, Iraq – the resting place of Prophet Younus (AS). The militants blew up the shrine in front of a large number of people. The Islamic State (IS) has razed 15 mosques so far, belonging to both Sunni and Shia sects and, interestingly, this recent destruction of Prophet Younus’s (AS) shrine was done under the supervision of a proclaimed ‘caliph’. In the middle of all this chaos, my questions are simple. What sort of a caliphate is this that believes in annihilating our prophets’ resting places? Is this what Islam preaches? What twisted version of Islam does the ISIS follow when it blows up holy places and destroys nearly 30 shrines? 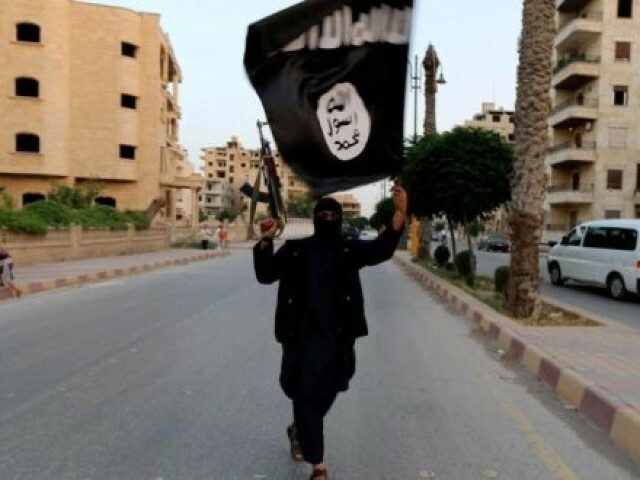 The IS aims to bring forward an anti-western political doctrine. Following a hard-lined extremist ideology, similar to that of the al Qaeda, and complying with the global jihadist principles, it is determined to establish an Islamic state of its own that will follow radical religious interpretation as deemed fit by the IS. Due to the sheer brutality of the IS, al Qaeda severed all ties with the rogue establishment in 2014. After the joint militant rebellion in Syria halted, mainly due to inter-militant fights, the then so-called ISIS faced intense opposition from its allies, mainly al Nusra and the free Syrian army; limiting the ISIS’s control only to the borders of Syria. In the beginning of April 2013, however, the ISIS militia made a fierce comeback, subjugating large parts of northern Syria, affecting the Syrian Observatory for Human Rights to an extent that they labelled the ISIS the strongest militant group in the country. Not only Syria, the bloody group left its mark in Turkey as well, carrying out the deadliest act of terrorism ever to take place on Turkish soil. Now the ISIS exploited the weakness of the Iraqi army and was quick to occupy Iraq’s northern lands. Call it the incompetency of the Iraqi civilian government or the corruption rampant amongst Iraqi Army generals, but the bottom line is, Iraq fell prey to such a group due to its executives’ ineptness. The prime minister as well as different influential clerics urged the nation to take up arms against the outfit, causing severe civilian unrest, allowing critics to label this a major failure on the governments’ part. ISIS was on the rise, though they were unable to reach Baghdad, they conquered enough to call their occupied land an independent state, the Islamic state, and create a self-proclaimed caliphate of their own. But if the ISIS was a true representative of Islamic ideology, it would’ve been enraged at the atrocities being committed in Gaza. It would have confronted the Zionists to free Palestine from their occupation. Yet they remain silent. The Gaza issue seems to have preoccupied Pakistani minds but what our people seem to have forgotten is that they are still being targeted – every now and then – not by the Jews but by radical Muslim militants. Are we so naïve that are willing to ignore the constant threat that lingers around us? Has our emotions overridden our rationale? Yes, Israel’s violation of human rights in Palestine should be strongly condemned, but is it not more important to save your land first so that you may be in a position to help those in need? Pakistan is already infected with the disease of terrorism; the Taliban, al Qaeda, Jundullah, all operate here. With the operation, the Pakistani government has taken a bold step to fight the insurgency, but this is happening without an effective strategy to deal with the internally displaced people. The Pakistani army might be able to carry out the operation successfully, but the question is, is extremist insurgency the result of only a group of wild, militarily trained, blood thirsty individuals or is it the result of a provocative ideology? An ideology so powerful it promises the establishment utopia once the motives are fulfilled? This ideology aims to establish the promised land of Khorasan, the land which, when established, will mark the beginning of the supposed Islamic glory. In recent years, al Qaeda has become weaker and the Pakistani Taliban has been disowned by the Afghan Taliban, but does this make our work any easier? Are we finally moving towards the end of extremism in this region? Even if this holds true, the rise of the ISIS poses a big threat to these ideas. The Pakistani government’s inactive response to foreign militants has allowed them to grow, spread their views and expand their ideologies within the country. So much so, that they’ve been able to make a state within a state in the tribal areas of Pakistan, questioning and successfully undermining the government’s writ and authority in those regions. Even as the military counteraction is in progress, the success of the ISIS can serve as a motivational boost to the militants fighting the army. Tensions between the al Qaeda and ISIS seem to be of a temporary nature. Sooner or later, the socio-political narrative that influences both these groups will cause them to reconcile their positions, and a unified al Qaeda-ISIS with a common agenda is a horrifying thought indeed. As Pakistan has seen itself, militants do develop alliances with other militant groups to serve a joint purpose. The rise of the ISIS can serve as inspiration for militant groups or even stimulate them to form an alliance. The militias in Pakistan can serve as an ally of the ISIS and unless it is stopped, it won’t be long before the ISIS comes around knocking on Pakistan’s door – and eventually breaking it down. The army’s operation in North Waziristan is aimed to destroy the militants’ strategic and operational ‘headquarters’. The degree of success of the Pakistan army depends on the level of back up the government provides. Reportedly, some of the militants have escaped into South Waziristan and the government has not done anything much to give the army a helping hand. Government think tanks have to come up with ways to limit the spread of extremist narratives within the country. This malignant ideology has to be resisted, uprooted and removed. Islam is way more broad-minded and progressive, even in its fundamentals, than portrayed by these militant groups. The misconception, misinterpretation, misplacement or rather cherry picking of religious narratives out of their contexts by pseudo-ulemas have dented the true Islamic ideology as a whole. Pakistan, as a people, has become a confused lot due to which people are unable to speak out against these militant outfits with full certainty. The masses still seem to have a soft corner for these outfits because of the manipulative facade they have disseminated; the facade that they are reviving and spreading Islam. The Islam they plan to ‘revive’ has little resemblance to the actual religion. The government’s challenge is to provide the nation with a clear narrative, explain to them the dangers caused by these militant groups to our existence as a progressive nation and urge them to stand united against them. The logic of Indians on this site all the evil things TTP, ISIS and Let does are a result of Islam. To them Islam is violent and backward and has only created troubles. But when ever an Indian does some thing bad it is his individual act and he was most likely provoked by a muslim. 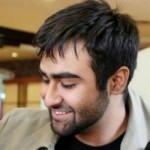 @ Mehdi: Not all sunnis are followers of that particular sect. They should have a panel of learned mullahs who will analyse every terrorist organization and accredit the grade for how Islamic they are…Whats the purity of Islam in those organizations?? This will help people recognize which is good Taliban and which is bad Taliban,whom to send ur donations for,whose message u need to update in ur facebook status…. Why everyone talks of Gaza but never about ISIS or Boko Haram or Taliban??? You said it…..and said it well. There is no Sunni or any sect of Muslim who can raze any part of shrines of Allah’s messengers. There is no sect of Sunnis or any other sect of Muslims in which killing or harm any other sect is allowed or encouraged. If any individual or group is doing this, they must be anti-Islam elements. ISIS is now out of bag. They are planted agents of US and Isreal to tarnish the image of Muslims or fuel the differences among Muslims. Yes i completely agree with you for everything bad that muslim extremists do is not really muslims doing, THE AMERICA AND ISREAL makes us do these things to tarnish our image. they made the muslims attack the world trade center, it was the AMERICA AND ISRAEL which made the taliban shoot malala, and of course they are the ones who are MAKING the muslims murder thousands of other muslims every day. So sympathize, excuse or support ISIL’s violent acts and make a deflection blaming the irrelevant nation you despise on anti-Shia sectarian grounds ‘oh they do it too’, when the author has not laid blame on any internationally recognized Sunni state but an Islamist terrorist organization. This is the prejudiced and twisted interpretation of Wahhabi, Salafi or other Sunni Islamist extremist beliefs against other Muslims and their sects. It does not give them right to violently kill other religious communities and blow up their places of worship, such as the Christians and other Iraqi ancient groups. I think its unhelpful to even ask whether ISIL is even Islamic, which just justifies their narrative. They’re an extremist terrorist group. They have a vicious but remarkable psychopath, who takes no issue in placing bombs in children’s ice cream carts, leading them and inexplicably resonates with a good number of sick minded sympathizers and supporters. Its clear their fundamentalism is a threat to not just non-Muslims, but us Muslims mostly and must continue to oppose – despite what anti-Muslim prejudicial bigots may like to portray otherwise. Also need to stop measuring their ‘Islamicness’ or ‘hypocrisy’ by their perceived lack of action on Palestine. Its like we want to redirect them to carry out the same brutal attacks against us on Israelis instead to ‘prove’ themselves. Canada lists top domestic and foreign violent threat is considered to be religo-political Sunni Islamist extremism, particularly of the Wahhabi/Salafi radical ideological kind, holding a monopoly over non-Sunni groups. This is what ails Pakistan mostly, and other parts of the world. Its just not realized or difficult to admit or there’s an affinity to these beliefs by the general public, unfortunately like in Pakistan, or the Pakistani diaspora. Its a global ideological crisis, that can’t be explained by simplistic anti-imperialism or concentration on local political narratives alone. There are exceptions and nuances with these groups or their religious political state backers, but on the whole its a collective issue or problem, otherwise you wouldn’t have such recurring common themes such as the anti-Shia sectarianism, be it small or large populations. There is no central control of muslims problems. Anyone can stand up and call themselves anything.